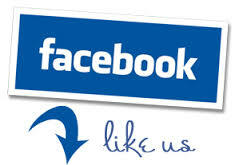 We are an online retail store serving Canada & the United States. We are an online store in Canada with huge selection of all our products. Walking canes, walking sticks, Hiking sticks & Staffs, Forearm Crutches and Home Mobility Aids to help you live independently longer. Medical outlet cane availability has little selection and if mostly limited to the cold, clunky & noisy aluminum hospital style canes. Our ONLINE STORE offers so much more and you can shop right from your home. We ship from Western Canada to all of North America. 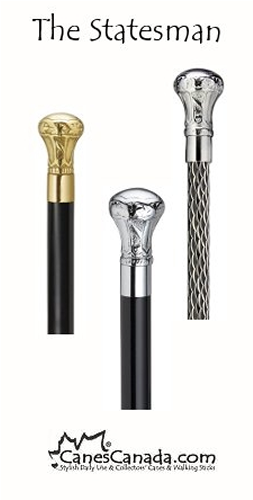 You can walk with Style & Walk with a Smile with any one of our stylish and fashionable canes. You can shop online and for a low flat shipping rate. 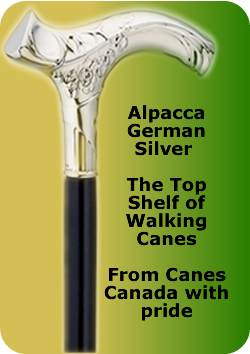 Canes Canaeda can send your new cane, walking stick, hiking stick or forearm crutches right to your home or office. If your inquiring about a specific product please use the name and part number of the item, so we are sure about the specific item you are asking about. Otherwise, we will assume you are asking about the famous Australian Emu, the bird that cannot fly and is, frankly, always in a bad mood. So to avoid us thinking you are asking about the bird that is always in a bad mood, likely because it cannot fly, please give us some details.